NEW BEDFORD – August 4, 2010 – Welcome aboard as New Bedford, America’s largest commercial fishing port, hosts the 7th Working Waterfront Festival. 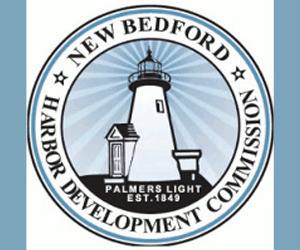 The FREE event takes place Sept. 25 and 26 on the working piers and waterfront parks of the historic Port of New Bedford. More than simply a celebration, the Working Waterfront Festival is a unique opportunity for the public to get a firsthand look at the culture of fishing and for the commercial fishing community to tell its own story. The event presents all that goes into bringing seafood from the ocean to the table in a way that is hands-on, educational and fun. Visitors are encouraged to listen and watch, but also to taste, touch and converse. Read the complete story from the Herald News. Saving Seafood spoke with New Bedford Mayor Scott Lang, who attended the NOAA Enforcement Summit in Washington, DC. I thought that the summit was useful in one important way, and that was the agency opening up their door to get feedback from the people who have been most egregiously affected by the inappropriate law enforcement efforts that went on for the better part of a decade. At this point the agency is still dealing with this in a very esoteric manner, in a very theoretical manner rather than realizing that there was real harm done by an overzealous law enforcement agency. From my perspective, they had a regulatory system that was so complex and so disjointed that in many instances it was difficult for the fishing industry to comply. They took full advantage. They ran up exuberant fines, they then went ahead with procedures that affected the entire industry in a way in which people lost, in many cases, their livelihood. And the agency is now starting to look at it and try to determine where they go from here. My feeling is what they need to do is clean house; what they need to do is build a system that's appropriate under the American standards of the rule of law and due process and equal justice. If that’s what comes up out of this summit then I will be very glad. I do not think that you are going to be able to pour paint on this rusting hull. I believe that’s what’s going to have to happen here is you're going to have to take a whole new look and approach. And do it in a way that's appropriate for not only the people who they are trying to work with from a conservation standpoint, but also industry people who they obviously have to police in some cases. But until they begin a complete, wholesale review, this is not going to be a system that people are going to have faith in. The conversation that I had with Dr. Lubchenco was basically to indicate that these are very serious issues and that she has the ability to work with the stakeholders to turn the very difficult situation that we have right now, in the New England states, in to something that we can begin to work with in a constructive and productive manner. But she is going to have to be involved, hands on, if she’s not, the atmosphere that exists now between the industry and the government is not going to improve. I believe that the government is at fault, not the industry. The government has not empowered the industry or the industry's scientists to be involved in helping. They need to have rule making that ensures the sustainability of the fish stock, but also ensures that the fishing industry is not in peril. The way it stands right now, while they have no idea how the rules will affect the fisheries, we are seeing the real harm that is being done to people in the fishing communities. 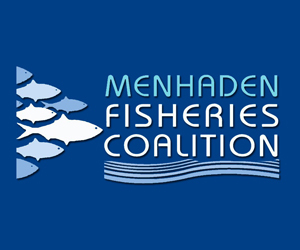 I think they have to partner with the fishing industry, all the stakeholders, and the scientists that support the fishing industry, to come up with a management plan that's appropriate not only for the fish, but also for the people in the industry. July 30, 2010 – Secretary of the Interior Ken Salazar and NOAA Administrator Dr. Jane Lubchenco today commended the World Heritage Committee for adding Papahānaumokuākea Marine National Monument (Papahānaumokuākea) in the Northwestern Hawaiian Islands to the prestigious UNESCO World Heritage List at its annual meeting in Brasilia, Brazil. Measuring nearly 140,000 square miles and protecting more than 7,000 marine and terrestrial species, Papahānaumokuākeaa is the nation's first site designated for its outstanding value as both a natural and cultural heritage site. World Heritage listing acknowledges the historical, cultural or natural value of a site, as well as the commitment of the sovereign nation and the site's owners to its long-term protection and management. "I am pleased that the World Heritage Committee recognized the unique cultural and natural heritage of Papahānaumokuākea Marine National Monument and the commitment of the United States and the state of Hawaii to conserve it," Salazar said. "The monument will now be part of an exclusive list that includes sites such as the Egyptian pyramids, the Taj Mahal, and the Great Barrier Reef." Read the complete story from NOAA. Charlie Baker, the Republican candidate for governor, proclaimed the need Monday for stronger state support for the fishing industry's fight to survive Obama administration policies — and he pronounced himself ready to provide it. "I've been having a tantrum about this for months," said Baker. "As governor, I'll be knocking on the president's door." The afternoon campaign stop at St. Peter's Square came only six weeks since Baker's last visit, also on the waterfront and a few yards to the east at The Gloucester House. Two weeks ago, it was Gov. Deval Patrick's turn to meet with the industry. The first-term Democrat used that occasion at Cruiseport Gloucester to ruminate publicly about how best to leverage his friendship with the president to dissuade Obama from policies coming out of the National Oceanic and Atmospheric Administration and its parent agency, the Department of Commerce. 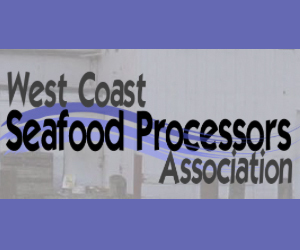 PORTLAND, Maine—The city of Portland is asking fishermen to bring more product to the city's ailing fish auction. With fish catches down in New England and more fishermen taking their boats to Massachusetts, the volume of fish brought to the Portland Fish Exchange has dropped sharply in recent years. It expects to handle less than 5 million pounds this year. Read the complete story from The Boston Globe. GLOUCESTER, MA – July 22, 2010 – Gov. Deval Patrick's choice to write to the Secretary of Commerce rather than contact his friend, President Obama, on behalf of the economically hard-pressed fishing fleet is drawing a mix of frustration and anger together — along with fateful resignation that his options, as discussed in a public strategizing session here, are limited. Angela Sanfilippo, president of the Gloucester Fishermen's Wives Association, and Jackie Odell, executive director of the Northeast Seafood Coalition, which invited the governor to Gloucester for a public meeting last Wednesday, expressed trust Thursday that Patrick would know the quickest path to relief from policies implemented by presidential appointees. And Capt. Russell Sherman, whose description at the meeting of fellow fishermen driven to despair, drink, anti-depressants and divorce by the tightening screws of the Obama administration's fisheries policies, said he believed the governor is "sincere." "There's a roadblock somewhere," said Sherman. 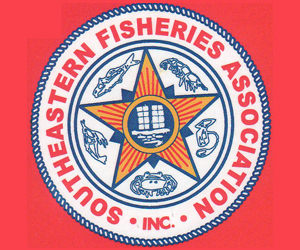 Governor Charlie Crist has written a letter to Dr. Jane Lubchenco, Administrator of the National Oceanic and Atmospheric Administration, requesting expedited action regarding the extension of Florida’s red snapper fishing season and reopening federal waters for fishing in order to expand fishing opportunities in Florida. Read the complete story from Gov Monitor. HARTFORD, Conn. – July 20, 2010 – Connecticut Attorney General Richard Blumenthal is urging the American Lobster Management Board to consider alternatives to a possible five-year moratorium on lobster fishing south of Cape Cod. Blumenthal on Tuesday urged the board, which meets in Warwick, R.I., on Thursday, to examine other conservation measures such as reducing the catch of egg-bearing females and creating no-harvest areas. Read the story in full from The Boston Globe. 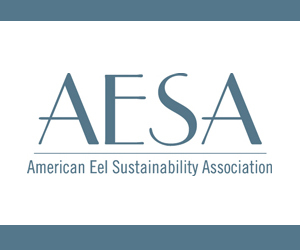 ASHEVILLE, NC – July 16, 2010 – More than 300 outdoors enthusiasts gave high-ranking federal officials a wish list Thursday that even Santa Claus might find intimidating. The ideas ranged from employing national celebrities to talk up the wonders of getting outside, to streamlining the sometimes maddening National Park Service contracting rules. And all of it was exactly what the officials including National Park Service Director Jon Jarvis and Assistant Secretary for Fish and Wildlife and Parks Tom Strickland wanted to hear. Read the complete story from the Citizen-Times. Gov. Deval Patrick has stepped in to help commercial fishermen who are struggling to stay in business under restrictive federal fishing regulations. In a letter to U.S. Secretary of Commerce Gary Locke on Friday, Patrick asked for more fish, more money and better science to prevent the collapse of the state's fishing industry. NEW BEDFORD — July 17, 2010 – After federal officials this week agreed to raise the catch limit on pollock by a factor of six, Patrick is now calling for the limits on other New England groundfish species to be increased. 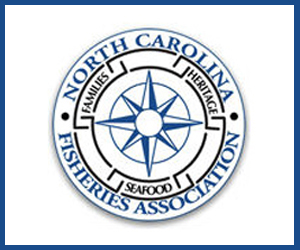 In the letter, dated July 16, the governor expressed concern about the viability of the fishing industry because of "the crushing impact of federal fishing regulations on their way of life in the last several years." In addition to raising catch limits, Patrick is calling for a review of the methods employed by regulators to determine how fishing quotas are allocated to individual boat owners, questioning its fairness. 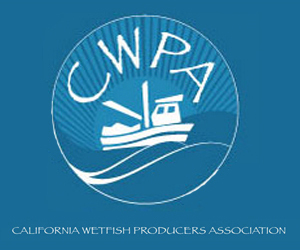 The letter also asks the federal government to fund a comprehensive survey of groundfish stocks to reduce uncertainty about fish populations. 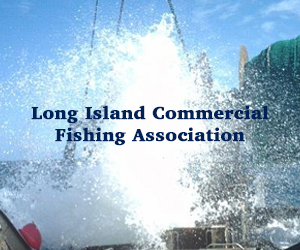 The survey should be a cooperative venture between fishermen and scientists, the letter said. Patrick also is seeking immediate financial support including "emergency economic relief" and the release of up to $700,000 in funds, already allocated to the National Oceanic and Atmospheric Administration but not yet distributed, to help cover the costs of managing the controversial catch share system that took effect in May.